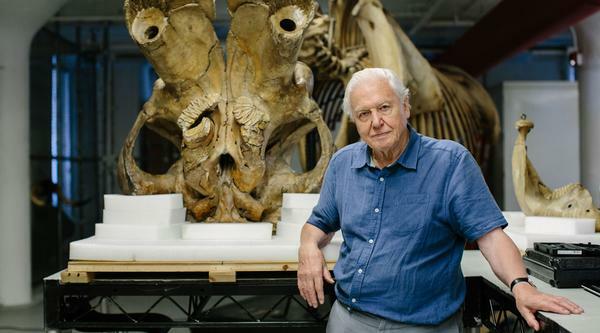 Sir David Attenborough, the veteran naturalist and broadcaster known for groundbreaking documentaries like Life, Blue Planet, Frozen Planet and Planet Earth, has been working with the American Museum of Natural History (AMNH) on a new film. With the working title Jumbo: The Life Of An Elephant Superstar, Attenborough and a team of experts at the AMNH in New York, New York, created a 60-minute documentary that explores the story of the elephant who inspired Disney’s Dumbo. Jumbo’s moving story began when he was brought to London Zoo in 1865. But the supersize animal was difficult to control and sold to PT Barnum’s circus in the US. More than 20 million Americans came to see Jumbo and the troubled elephant became a star. Attenborough’s upcoming programme investigates Jumbo’s life and the mysterious circumstances of his death, looking too at elephants in the wild and examining changing attitudes to captivity. Lebron says the museum is looking into possible related programming for next year. Attenborough has collaborated with attractions since the 1950s, when he worked on Zoo Quest alongside the BBC and ZSL London Zoo, establishing his talents in front of the camera. While with the AMNH, Attenborough also filmed a short video about the importance of natural history museums in learning about and protecting the animal kingdom. He says: “I’ve been fascinated by animals for as long as I can remember and if you’re fascinated by animals, you want to know more about them. The great place to know about them is, of course, museums. “Institutions like this are the very foundations of all zoological knowledge.